jumilla stories: this is the house that bj built. this is the house that bj built. we had a lovely break. lots of time with good friends. and (despite the fridge fiasco) just the right amount of relaxing! we were all blown-away (especially k!) 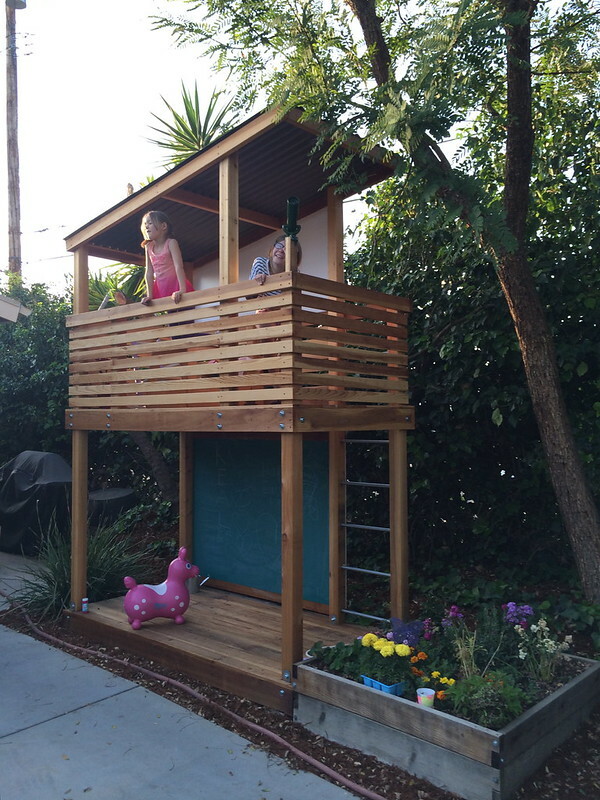 by their newest addition - this fantastic mid-century inspired playhouse that bj built himself, with all materials purchased from the home depot! i plan on working with him to get the plans for this available as a pdf. it is just too good not to share, right? rody is awesome! 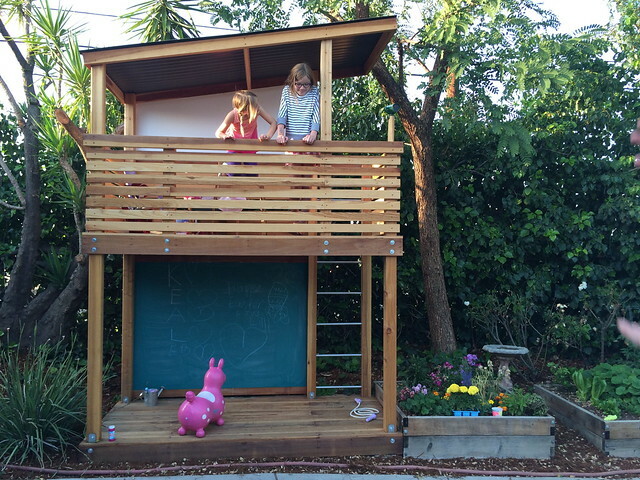 and so it that playhouse!